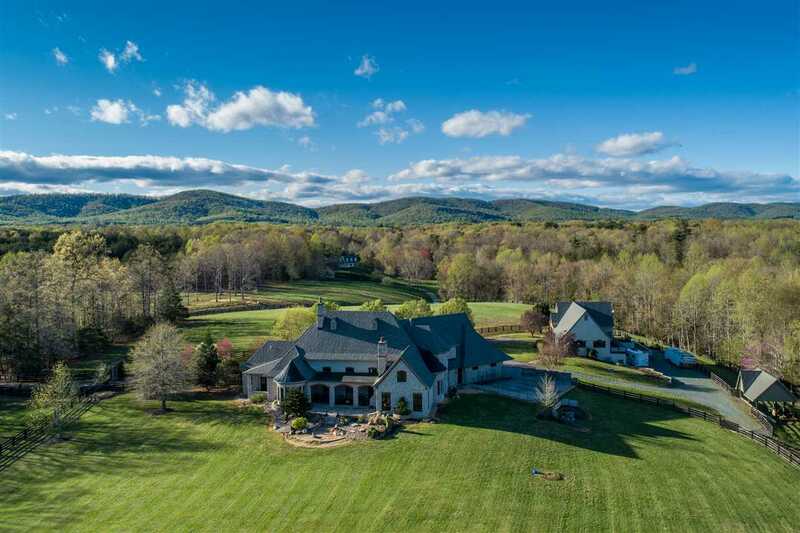 Long after other homes have crumbled, the stone walls of ARCOURT will remain-a testament to the quarried natural stone and superb quality construction used to create this one of a kind estate. 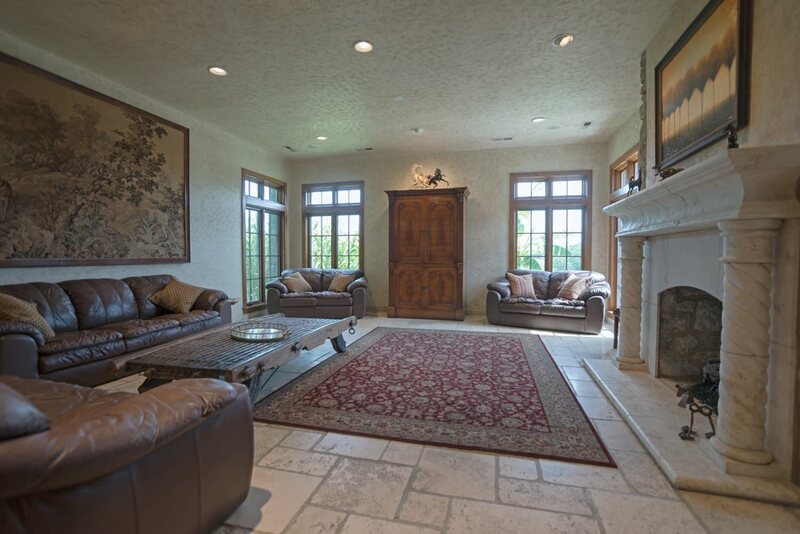 Spacious (over 5800 finished sq. 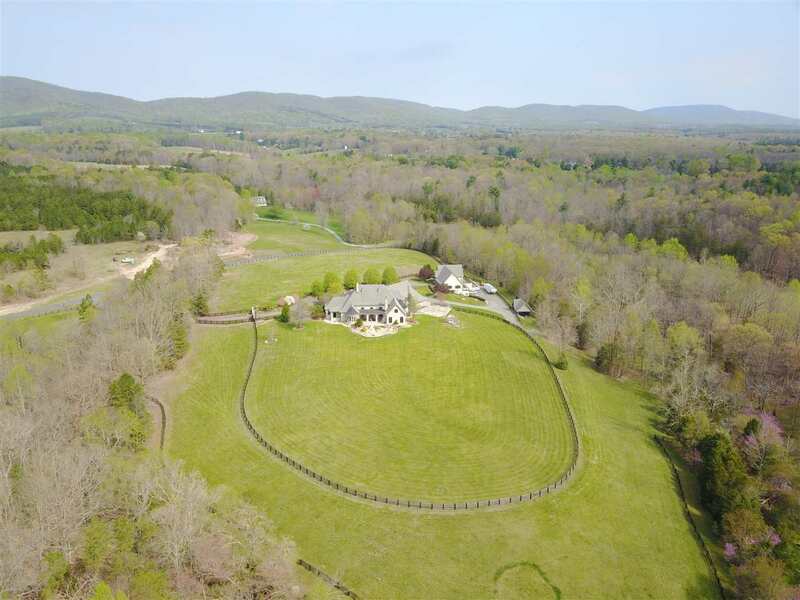 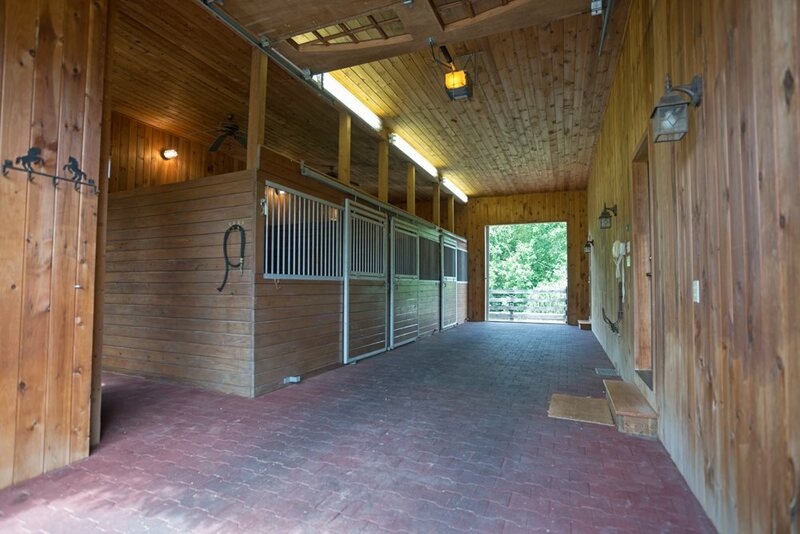 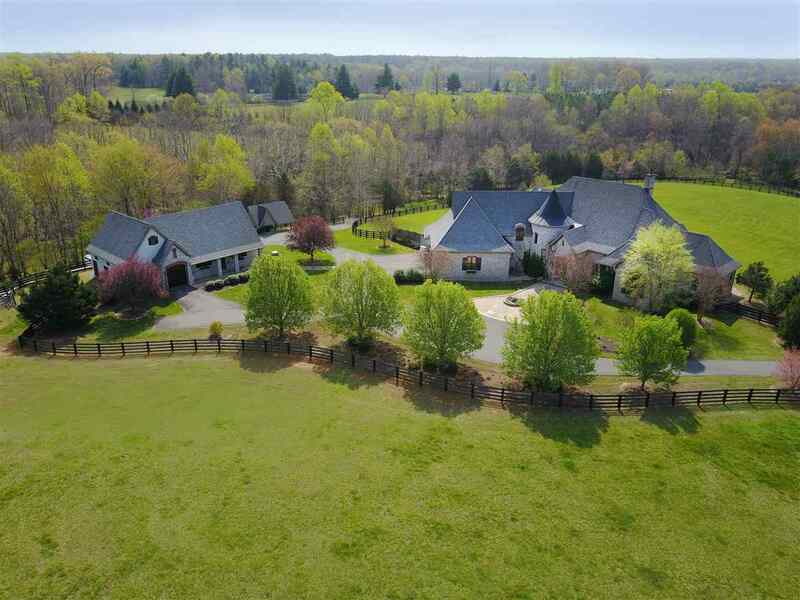 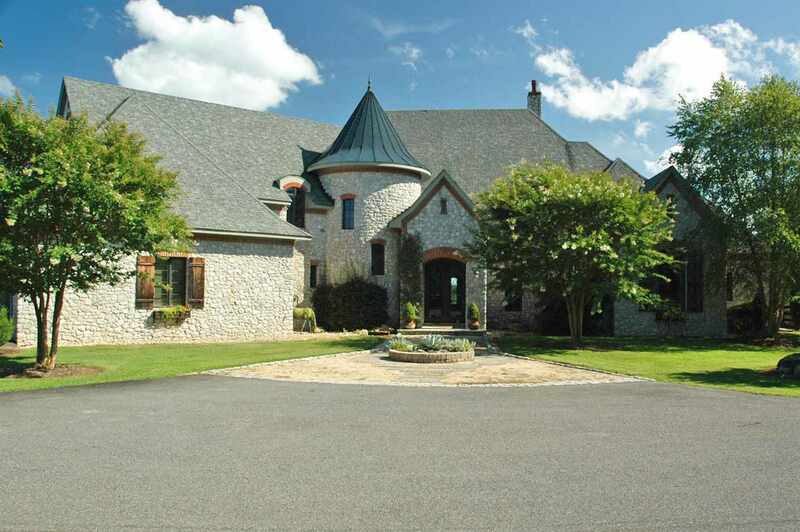 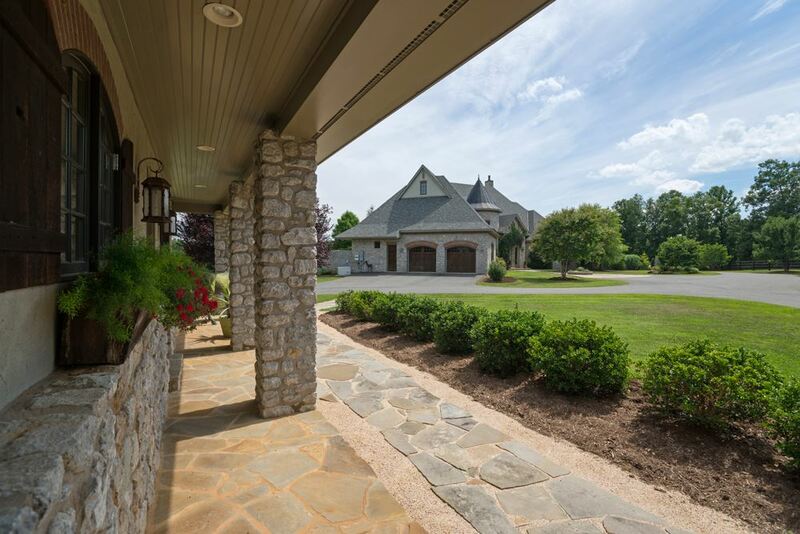 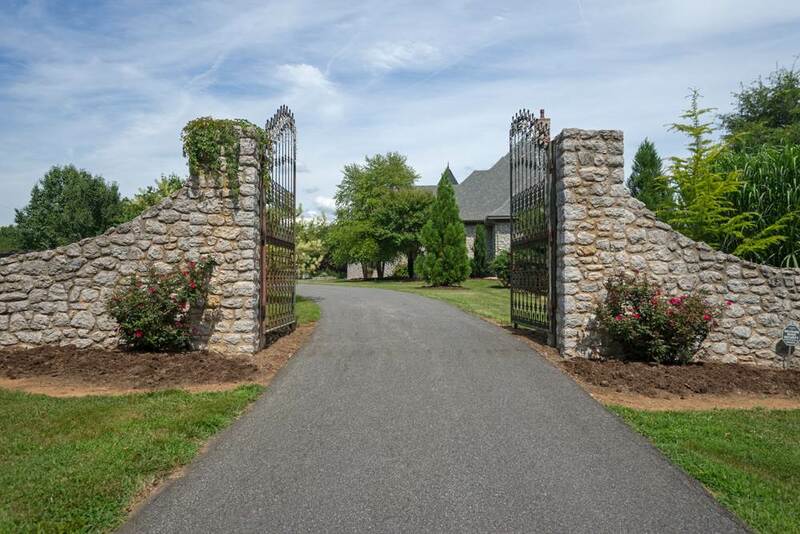 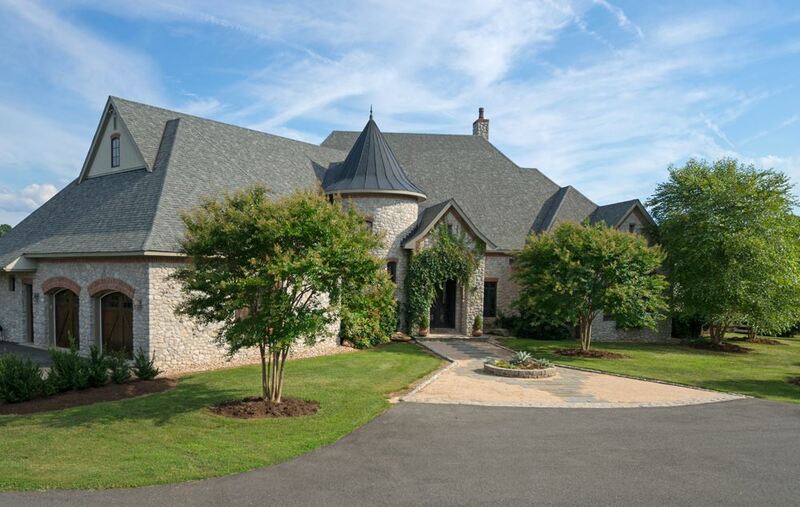 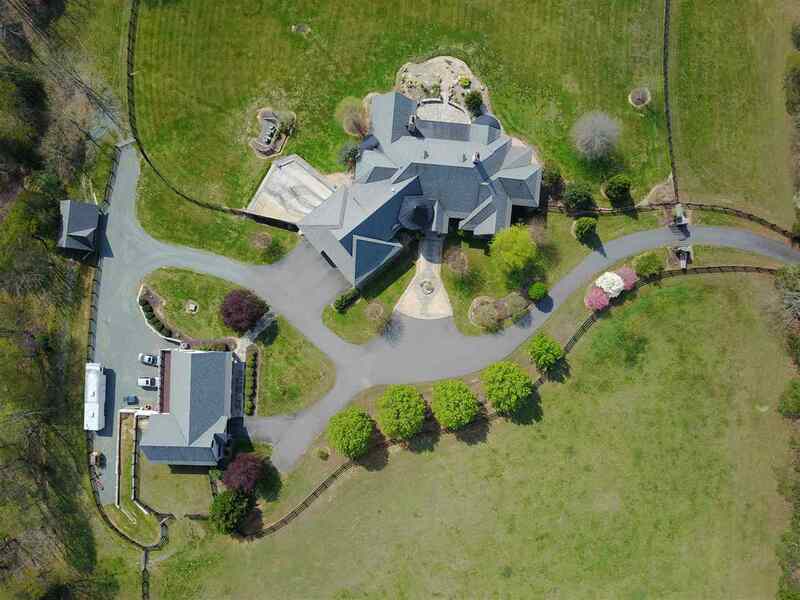 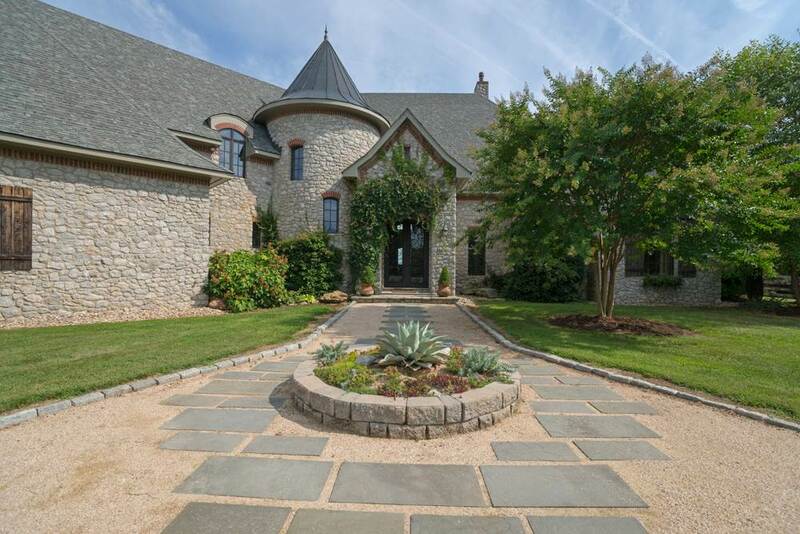 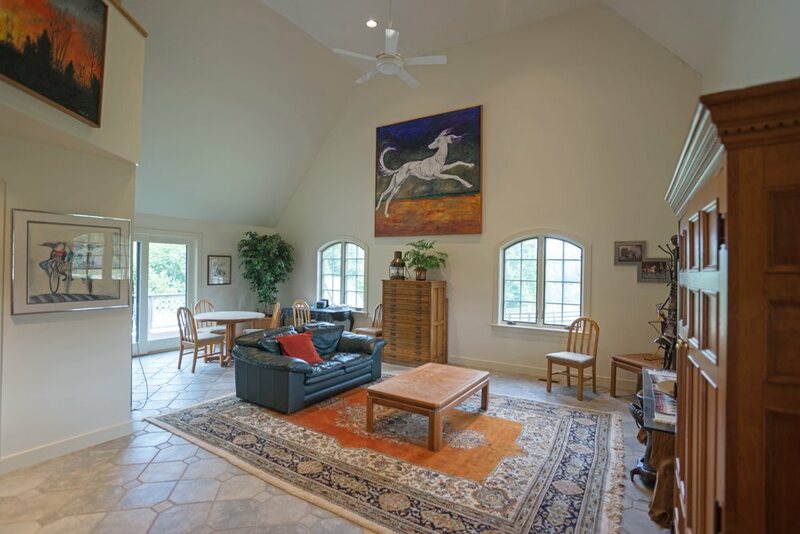 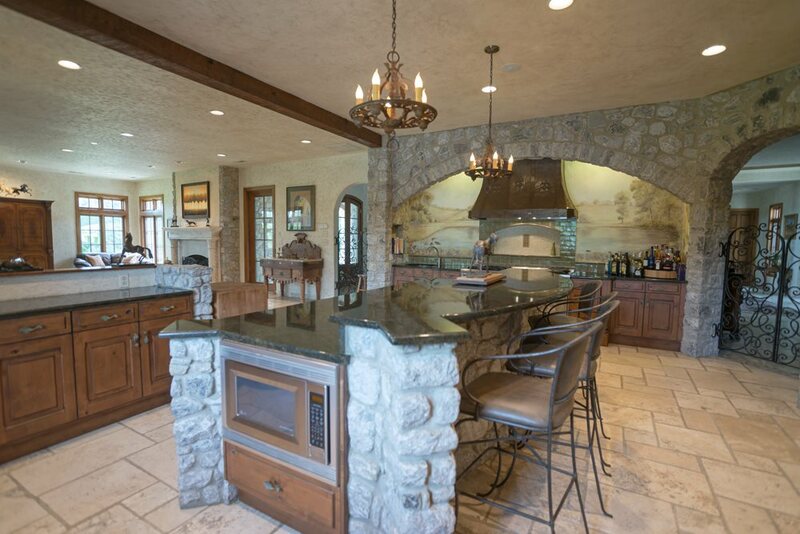 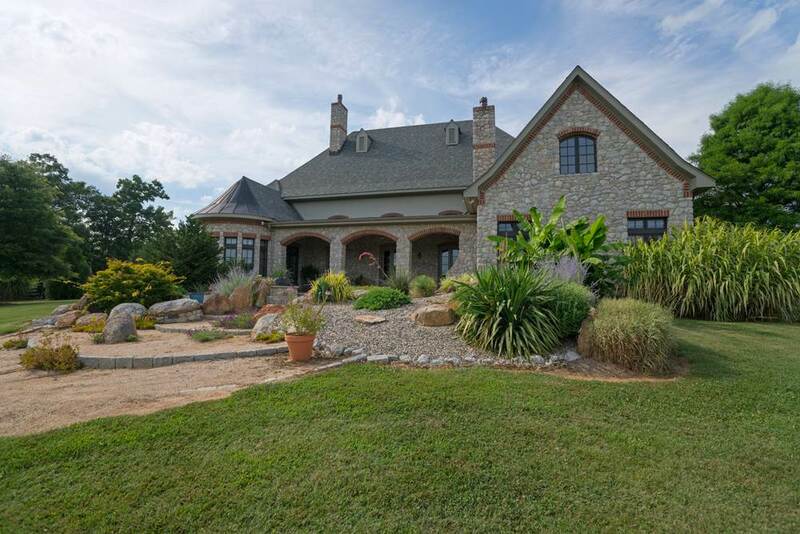 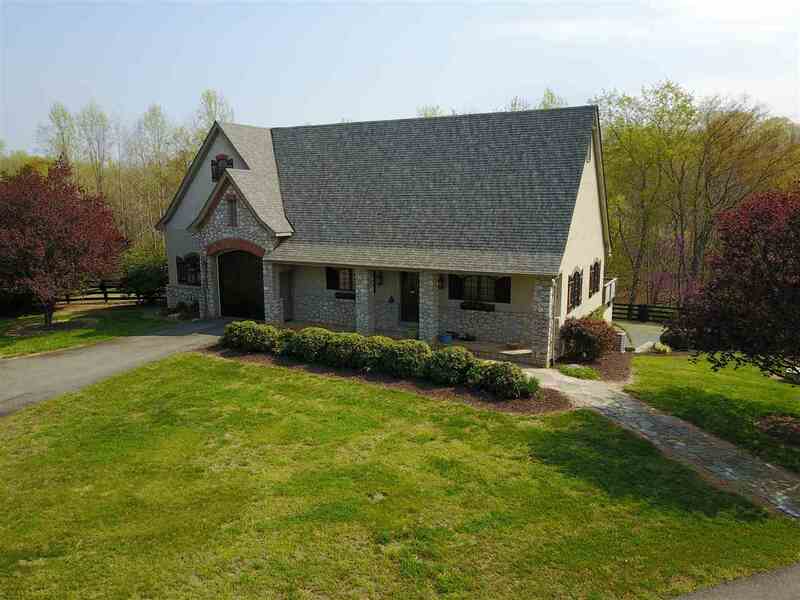 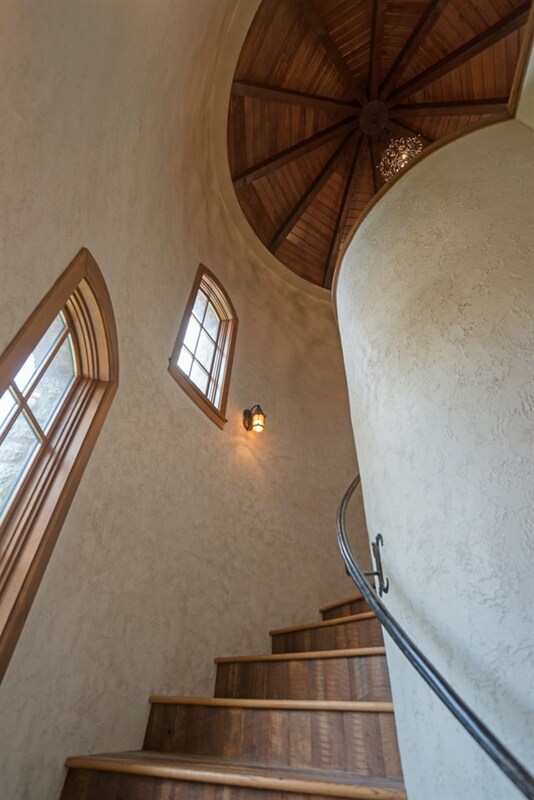 ft.) French-inspired custom residence on 22 private acres in Keswick Hunt Country, completely fenced for horses, 3-stall stable, guest quarters, with shop/garage underneath. 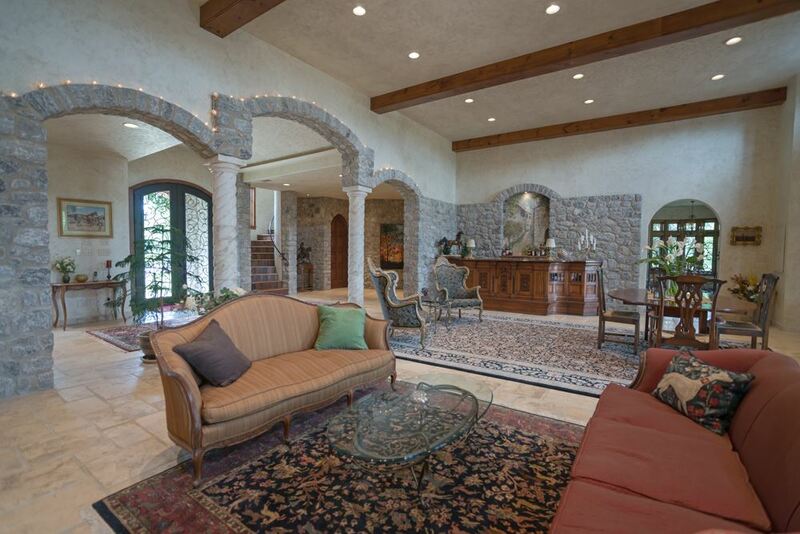 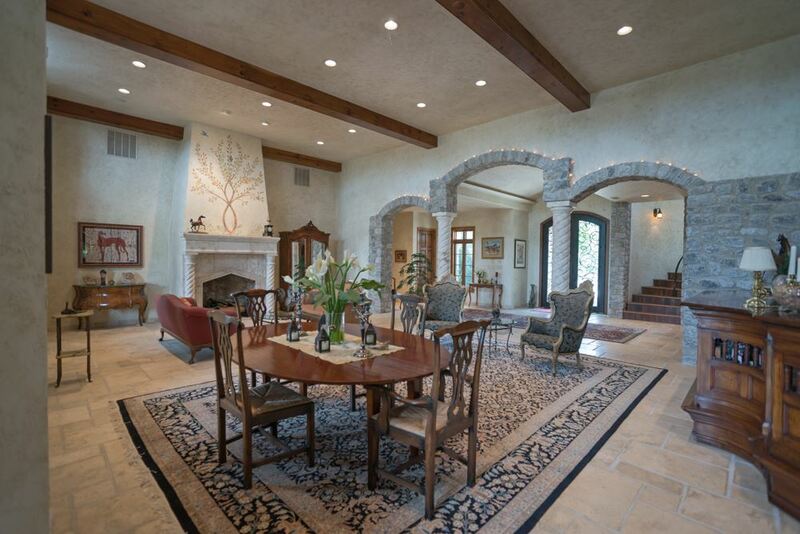 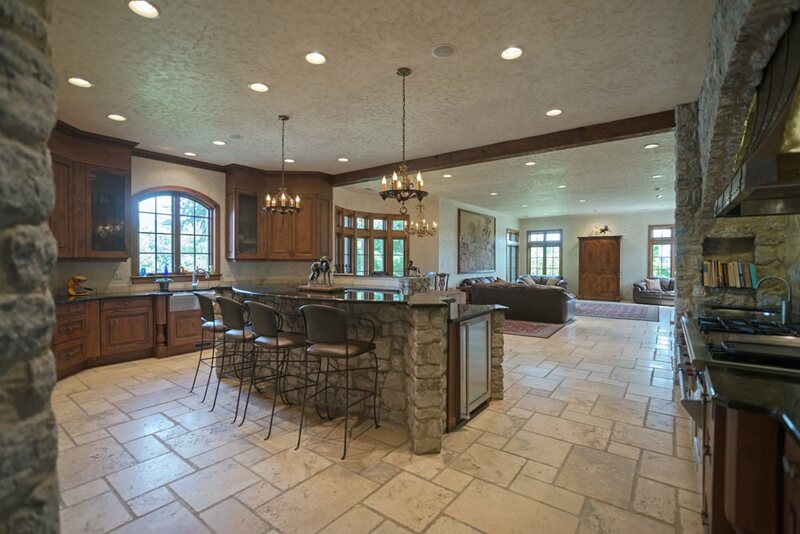 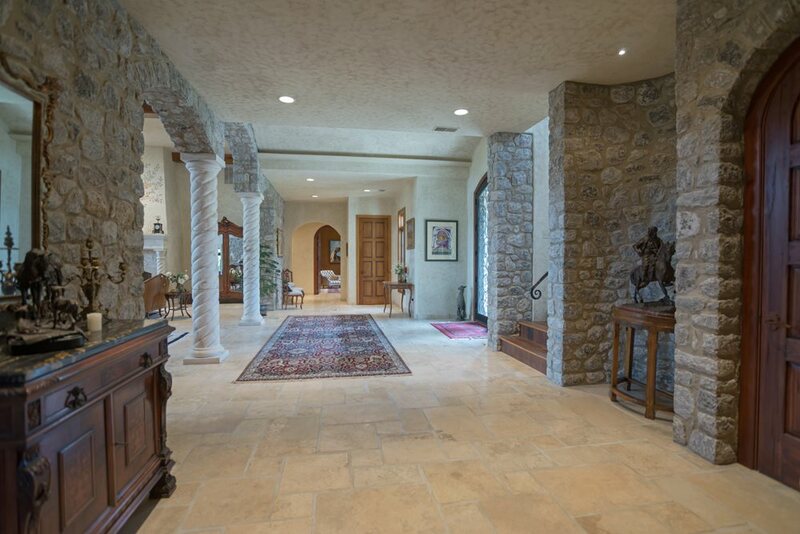 Interior of residence features an open floor plan, with large rooms, high ceilings, tall windows, and heated stone floors. 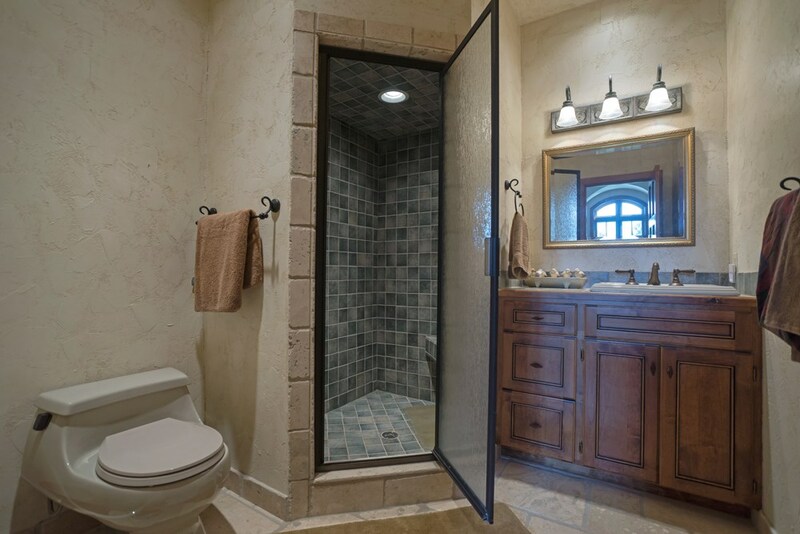 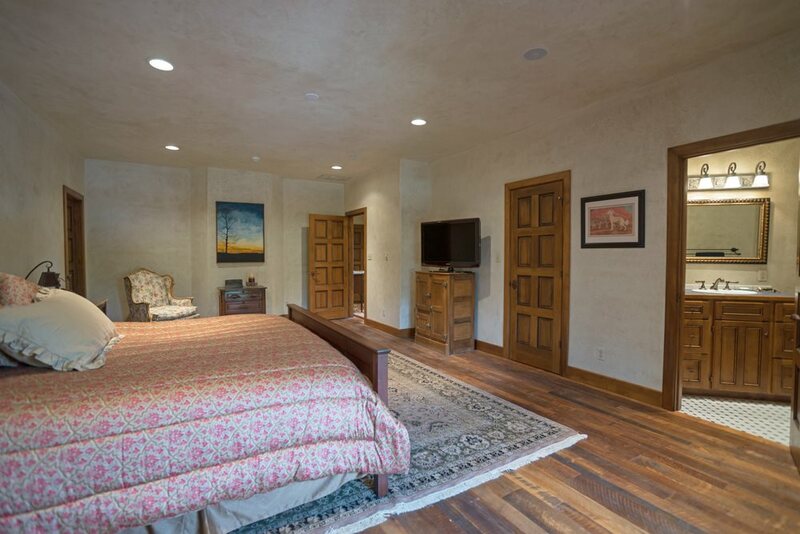 There is a main-level master suite, second bedroom or study on the first floor, two more bedrooms and two baths on the second level. 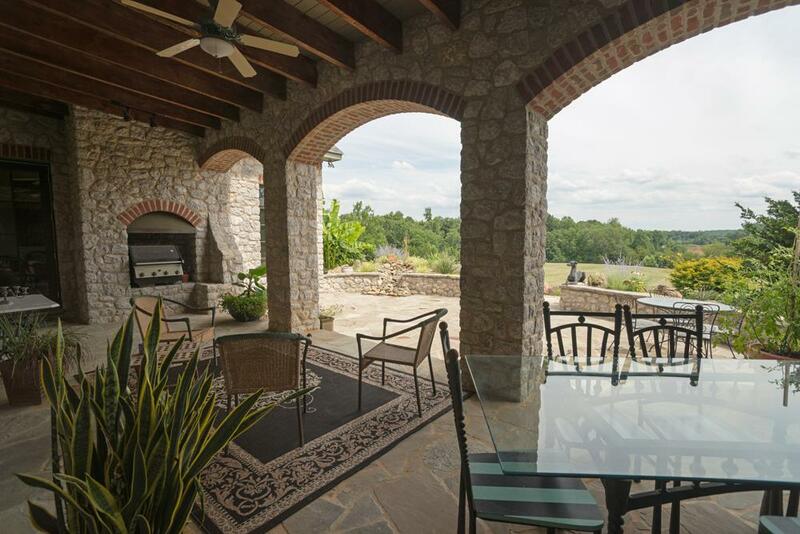 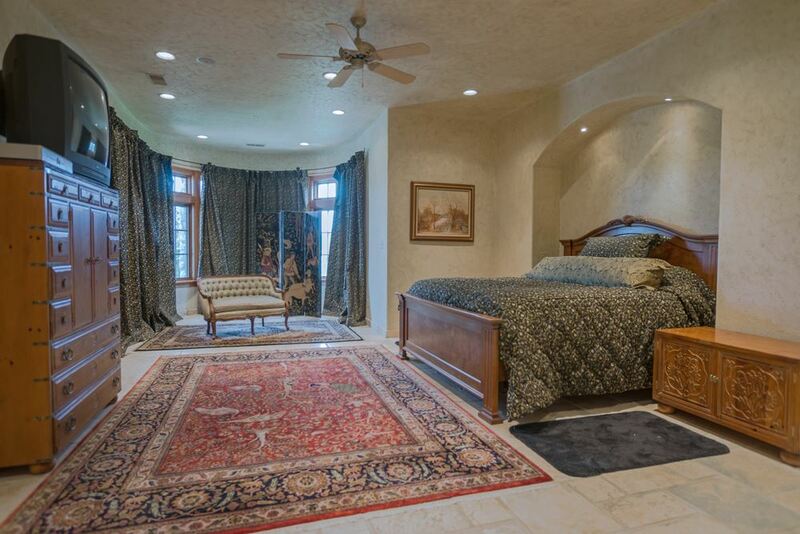 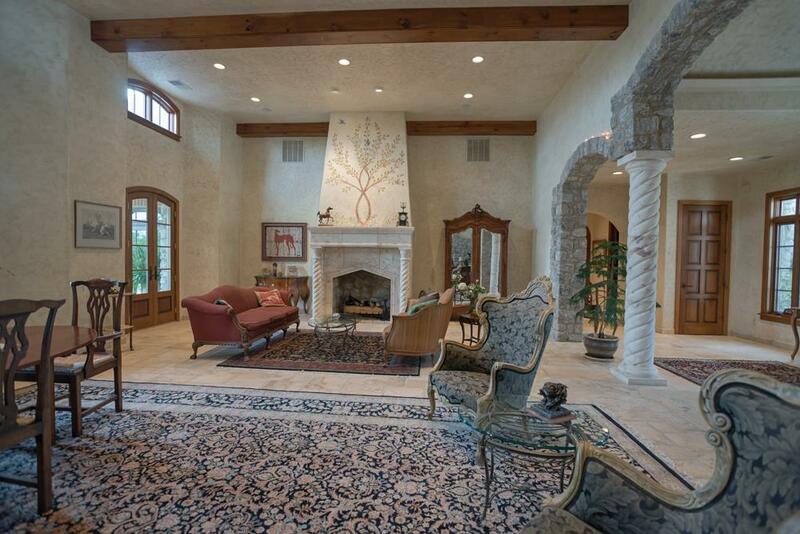 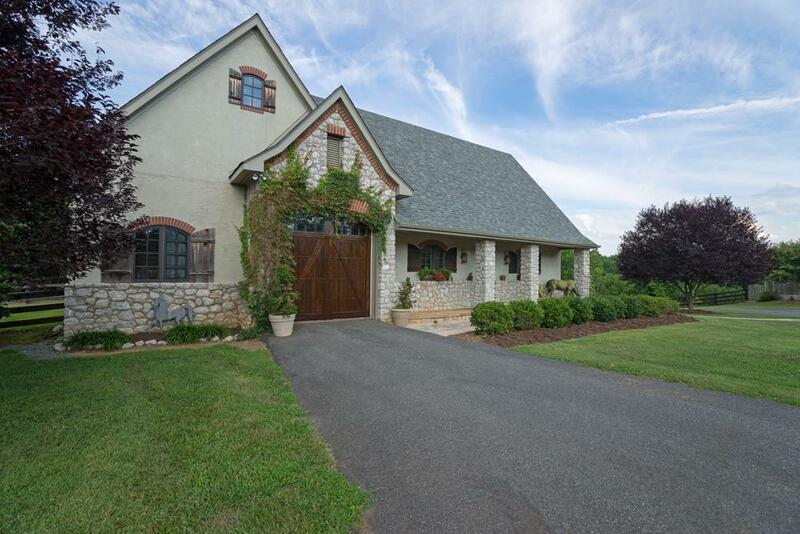 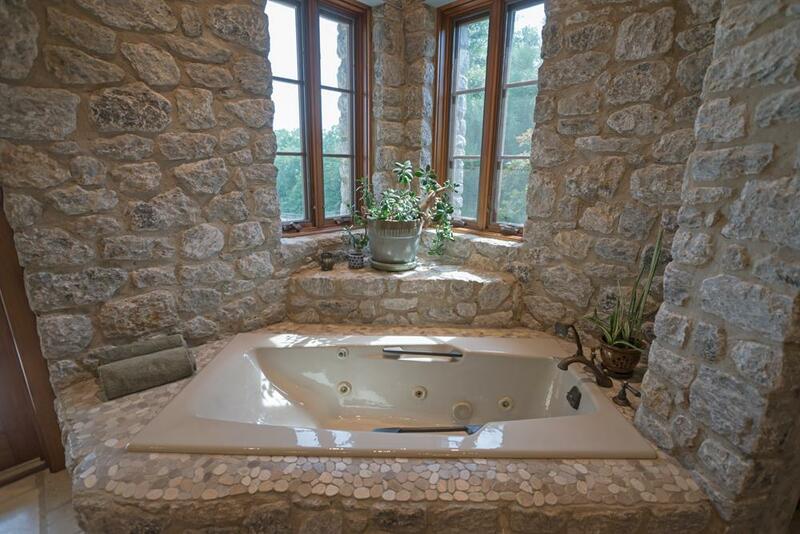 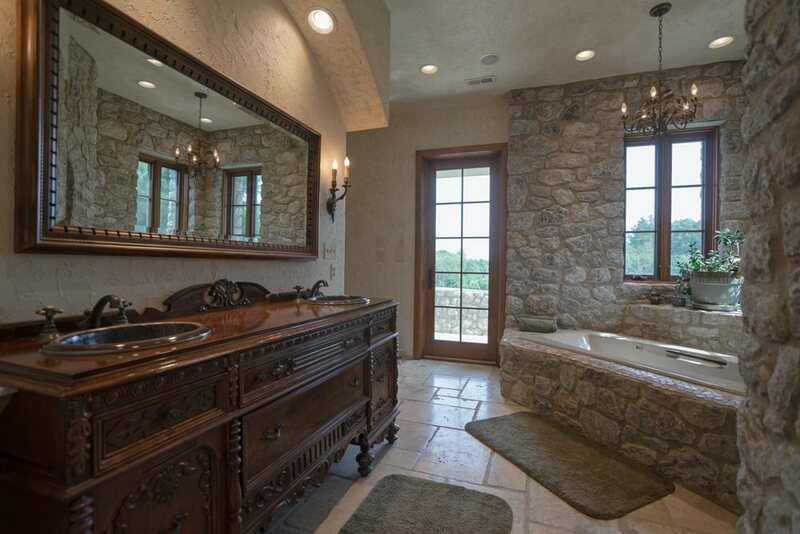 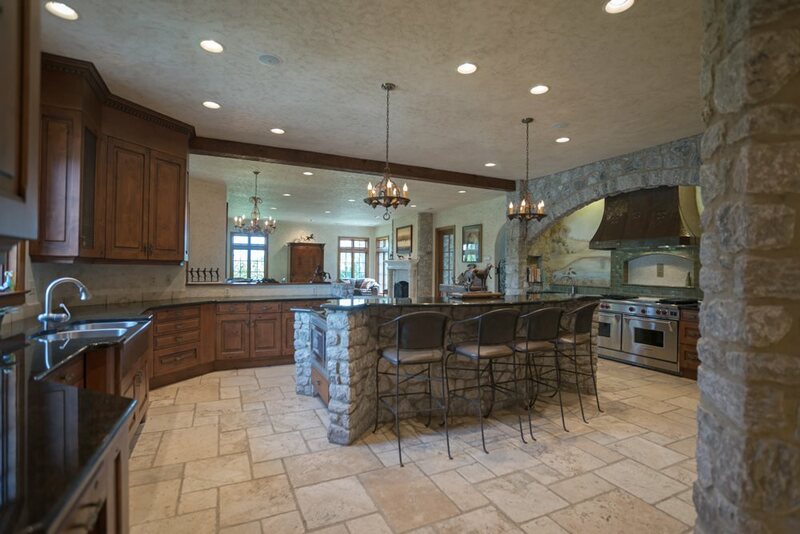 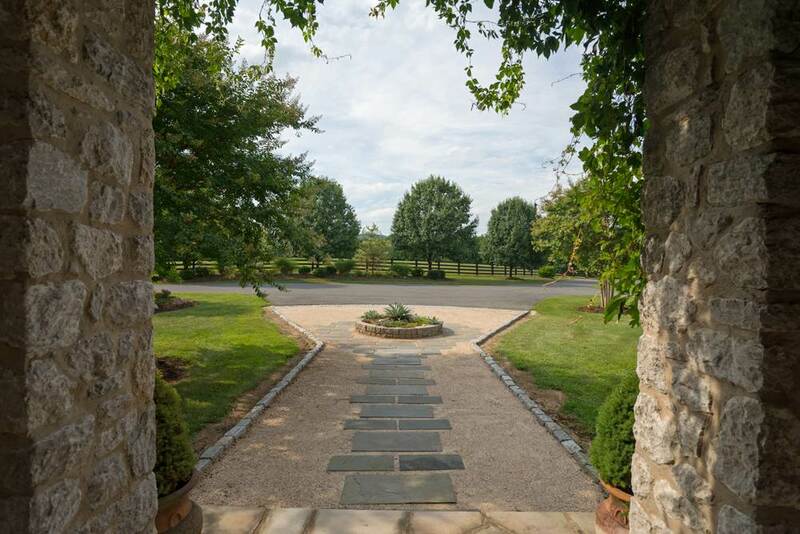 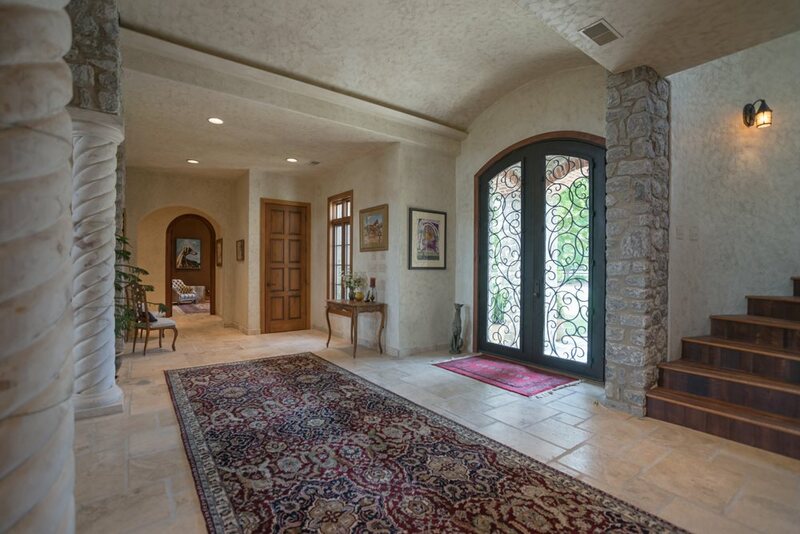 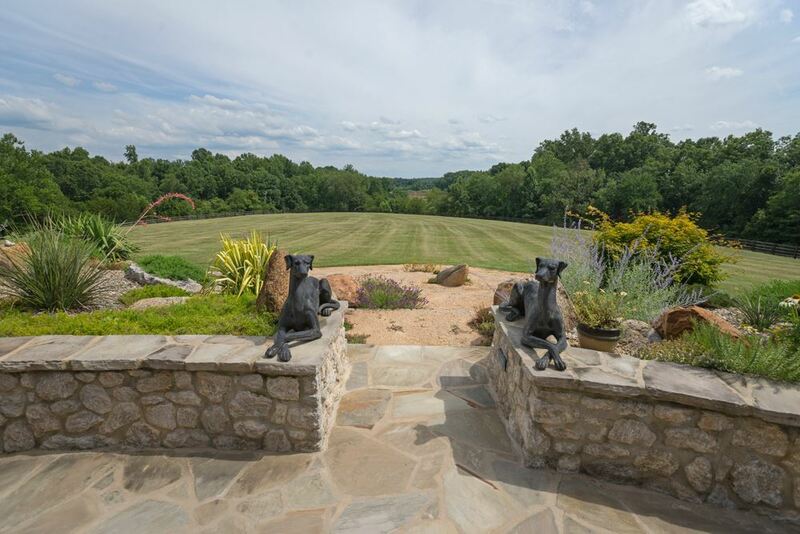 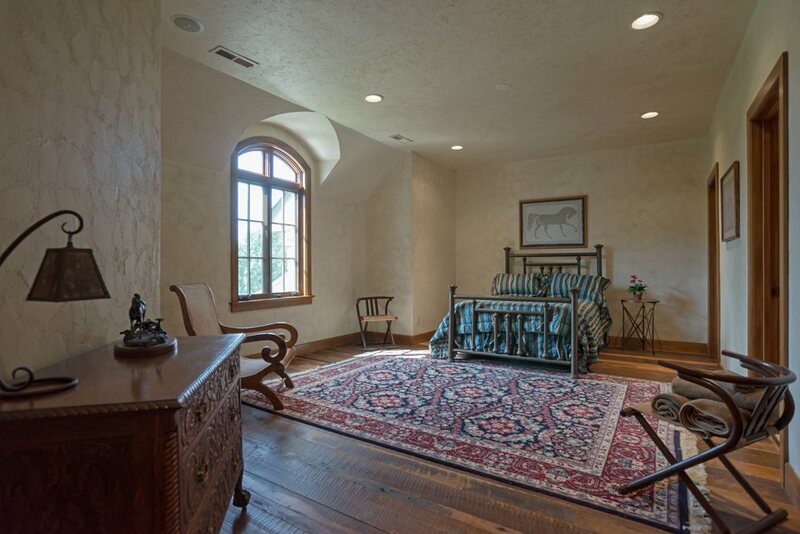 Beautiful mountain and pastoral views from home & covered veranda with stone fireplace.